One of the leading composers of the 20th Century, Benjamin Britten, became involved in the process. Here is Denis Wick’s description of Britten’s involvement. Britten understood orchestral colours better than any living composer, so to have his approval for the new mute was a huge encouragement, and his judgement has been proved correct. The mute that he liked best has been a best-seller ever since. This mute has a huge dynamic range, making it suitable for both symphony and jazz use. The aluminium is very hard and resonant which means the tone is very even and has exceptional carrying power. The mute is also light, which means the response of the instrument remains very effortless; the trombone will speak as easily as it would without the mute. This mute is a product of notable design and development in combination with the great hand-crafting skills Denis Wick has nurtured over many years. New from Denis Wick - a great-sounding and versatile fibre mute for trombone. This sensational mute has a seamless construction and a wooden base. 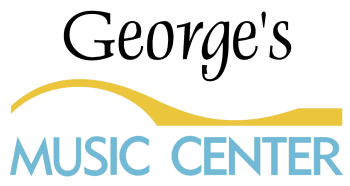 It is great for orchestral and band use, but is also perfect for jazz, with a soft, mellow sound that is perfect for jazz ensemble work. It fits equally well in large bore and medium bore trombones, with generously-sized corks that compress down to fit smaller bells. To ensure a good fit, simply leave your Denis Wick mute in the bell overnight, and the cork will adapt to the curvature of your bell. 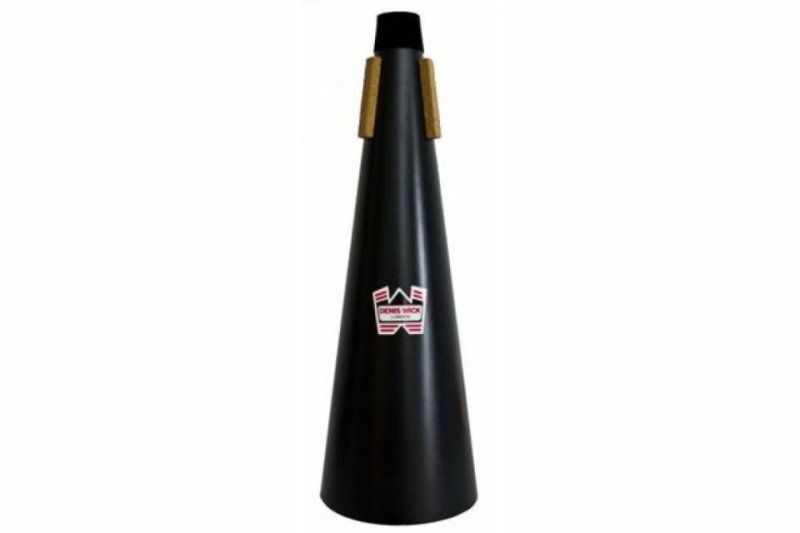 It has the excellent intonation that is the hallmark of Denis Wick mutes, but provides a professional mute at a student price. A whole set can be purchased for a band at the price easily paid for a single mute! Essential for any quality trumpeter! Very good quality, nice sound, simply the best mute I can find, and at a fairly reasonable price. The silver part (cup) detaches, and leaves a straight mute, or when attached, a cup mute. This is good - two for one. 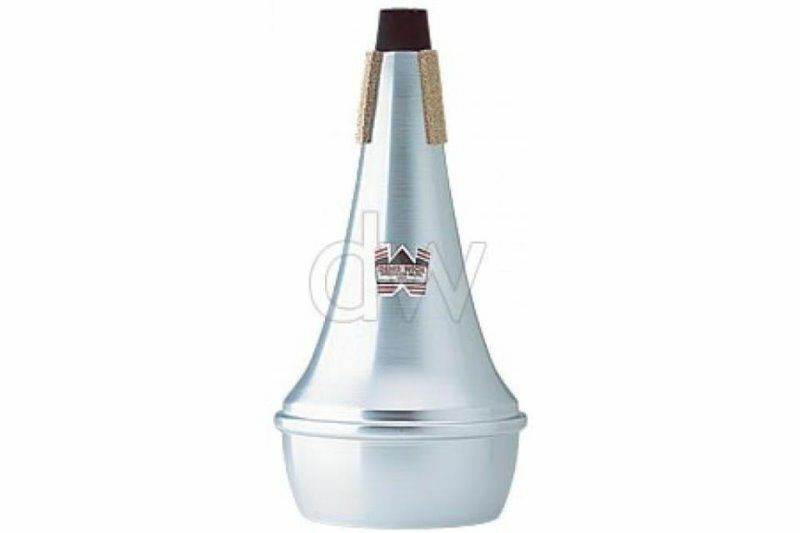 Save for the high end such as the Marcus Bona mutes, this cup mute nowadays is probably the professional standard by which all other cup mutes are measured. I first bought it on recommendation of multiple teachers, including one who plays in a major US orchestra, and I've played this mute for around 6 years. I have to say that I still absolutely love it. Some would say that it might be a little brighter and more metallic than the old school red and white 'stonewall; mutes, but to me those mutes seem dead and this one responds beautifully and has character. 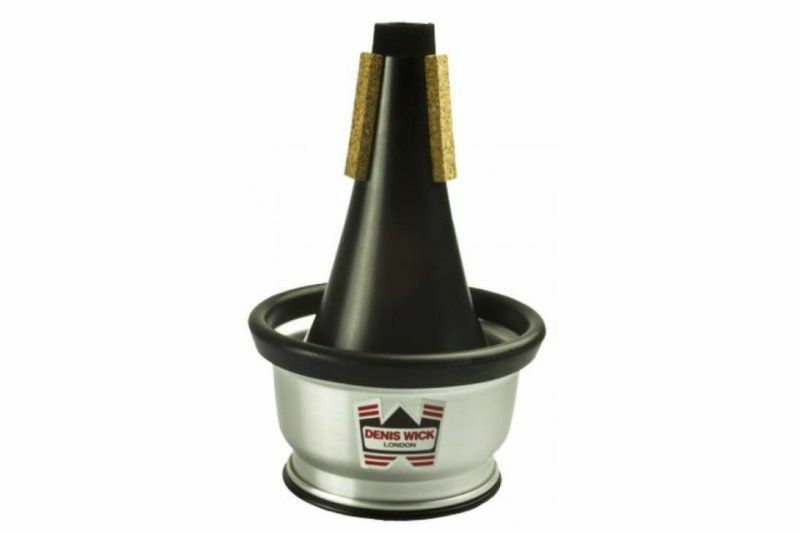 Further, an excellent feature that you can experiment with is the fact that the Wick is adjustable which means that you can take the cup part and adjust the distance it is from the bell, which modifies the sound. Thus you can mess with the distance to experiment with the type of sound you want. Fit and finish is outstanding, has lasted through heavy use through this long no problem. Excellent mute! Austin Bass , Worcester, MA , U.S.A.